The MTX StreetAudio iP1 is a portable, powered, incredible-sounding speaker designed to integrate with your life. 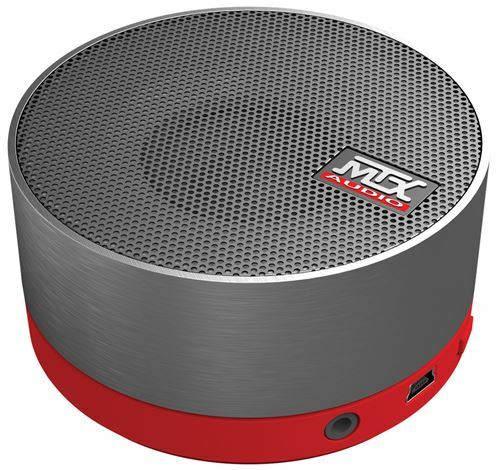 This high quality conference system is designed to reproduce high fidelity audio in a small, portable package. 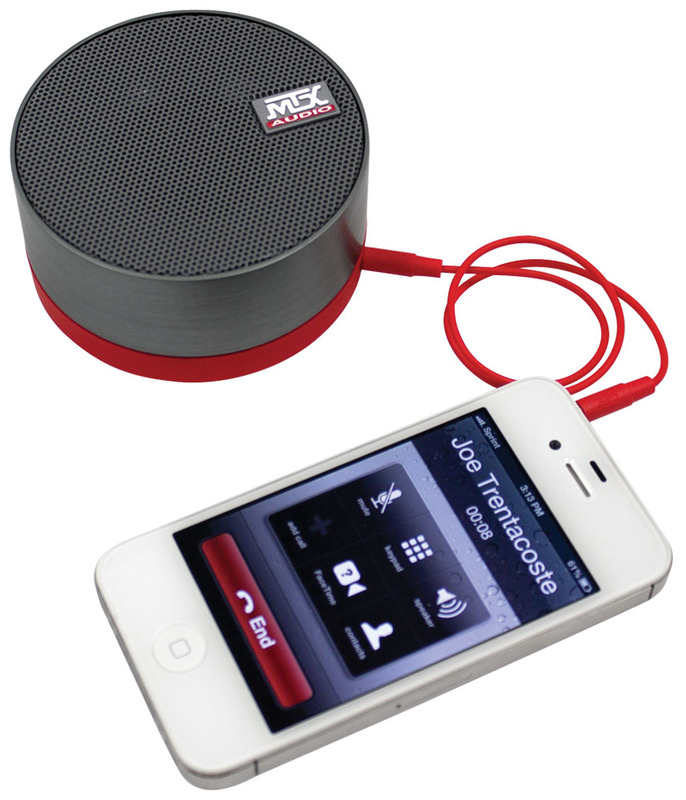 The iP1 can be used with any Smarthphone enabling crystal clear, hands free sound for a single listener or a group. 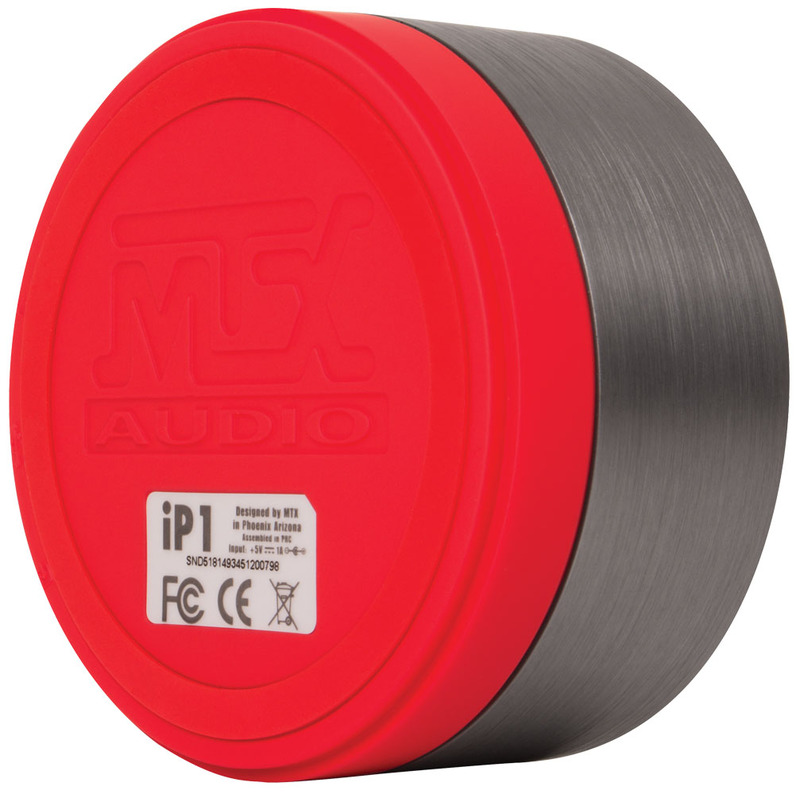 When connected to a smartphone, the iP1 provides excellent clarity and volume for all listeners in nearly any environment. And it rocks your tunes as well. Crystal pure sound with plenty of bass. Return to case and tuck into brief case or backpack. Charges from USB port and lasts the day long. The iP1 can be used with any audio source that includes a 3.5mm output or with computers that feature a USB 2.0 connection. The brushed aluminum design is very durable and the rubber back prevents the speaker from sliding once positioned. 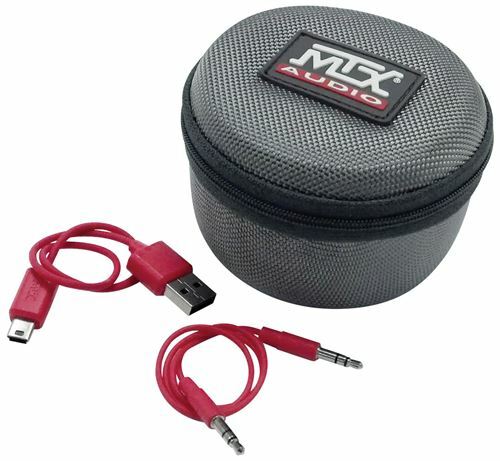 The iP1 includes a zippered carrying case that protects the speaker when you are not using it. The internal battery can be recharged using any computer's USB 2.0 port or a power supply that accepts a USB input. Great sound Love this little speaker, it kicks out great sound. It's great for when I'm planning to just listen to my phone without headphones and don't want to listen to the poor quality of my phone's speakers. Highly recommended. 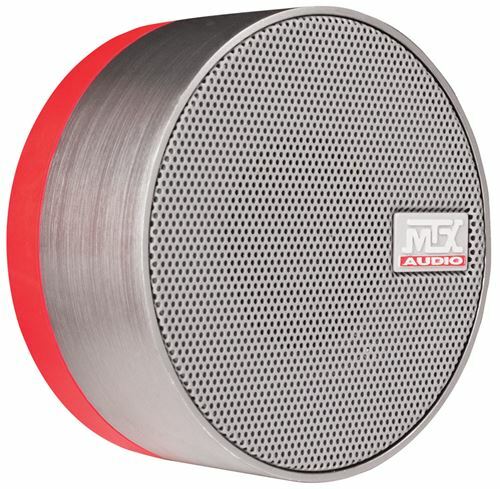 The sound is great for such a convenient, portable speaker. Typical of MTX... expect more.